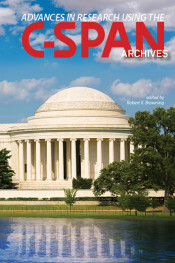 This book is a guide to the latest research using the C-SPAN Archives. In this book, nine authors present original work using the video archives to study presidential debates, public opinion and Congress, analysis of the Violence Against Women Act and the Great Lakes freshwater legislation, as well as President Clinton’s grand jury testimony. 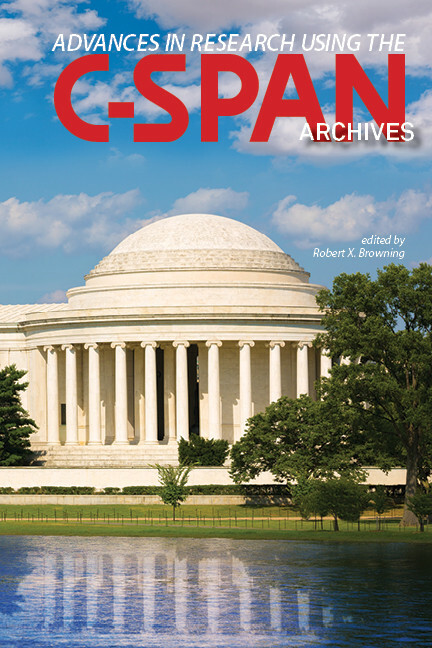 The C-SPAN Archives contain over 220,000 hours of first run digital video of the nation’s public affairs record. These and other essays serve as guides for scholars who want to explore the research potential of this robust public policy and communications resource. Robert X. Browning is a professor of political science and of communication in the Brian Lamb School of Communication at Purdue University. In 1987, he became the founding director of the CSPAN Archives. Today, the Archives are an online digital collection of over 230,000 hours of indexed content—all programs that have aired on C-SPAN since 1987. He is the author of Politics and Social Welfare Policy in the United States, papers on redistricting, and The C-SPAN Archives: An Interdisciplinary Resource for Discovery, Learning, and Engagement, Exploring the C-SPAN Archives: Advancing the Research Agenda, and Advances in Research Using the C-SPAN Archives. Awarded the George Foster Peabody Award for its online Video Library in 2010, the C-SPAN Archives is housed in the Purdue Research Park and offers a window into American life.